Alexandra Luke took an unusual path to painting. At 44 years of age, the former nurse, then homemaker and wife of General Motors heir Clarence Ewart McLaughlin enrolled in the Banff School of Art. There, artist/instructor Jock Macdonald exerted a particularly strong influence on Luke’s artistic development. He encouraged her to paint without reference to the natural world—to continue refining her passionate interest in colour and her inclination towards abstraction. Luke soon sought out additional instruction from Abstract Expressionist painter Hans Hofmann, studying the relationship between music and colour at his Provincetown, Massachussetts school over six summers (1947-52). 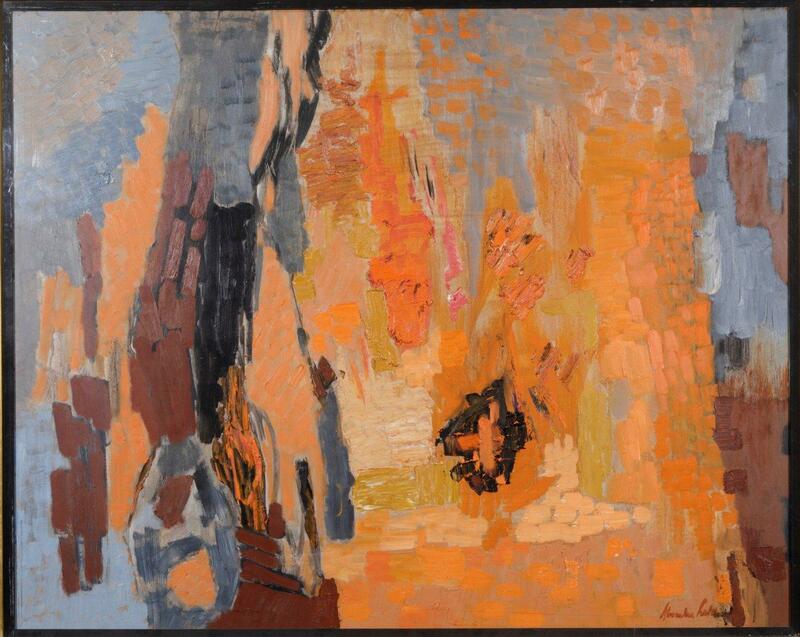 In 1952, Luke eloquently articulated her approach to colour, observing that it “is a very important instrument to be played like a flute or a trumpet or like a symphony, controlled intuitively but uninhibited.”1 The next year, Luke helped form the Painters Eleven, a Toronto-based group brought together by their explorations of abstraction. Luke created Sound Vibrations three years after the Painters Eleven disbanded. The “vibrations” are barely contained by Luke’s canvas, so varied is the brushwork: areas of thick impasto and controlled, isolated strokes are juxtaposed with those using a dry brush or thinly applied paint. Like Bertram Brooker, whose Abstraction, Music (1927) also renders the effects of sound, Luke chooses an intense yellow to communicate this invisible but powerful phenomenon. 1. quoted in Anne Newlands, Canadian Paintings, Prints and Drawings (Richmond Hill, ON: Firefly Books, 2007), 190.